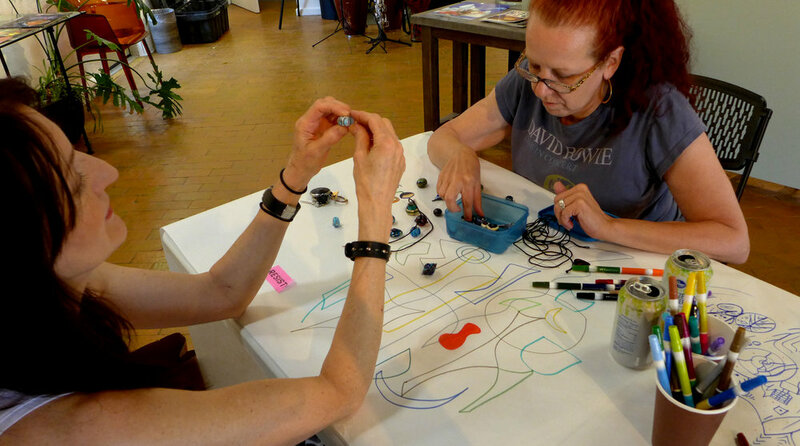 Young Artist Party was a celebration of summer. 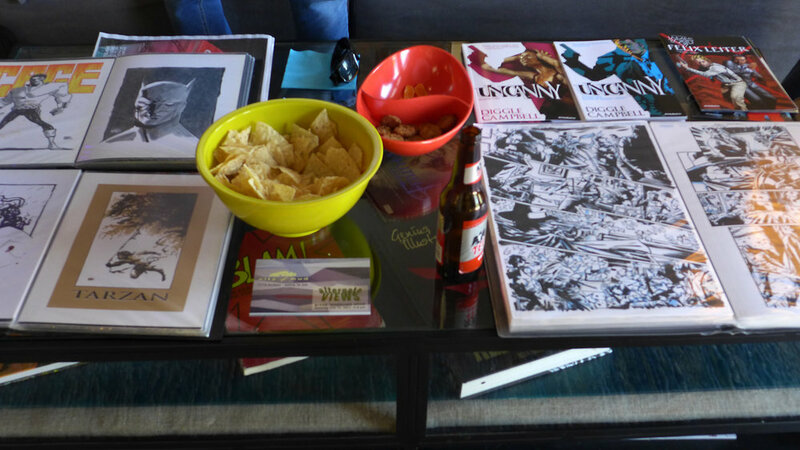 This free community event featured professional portfolio reviews by graphic novel artists Jamie Chase and Andy Kuhn. 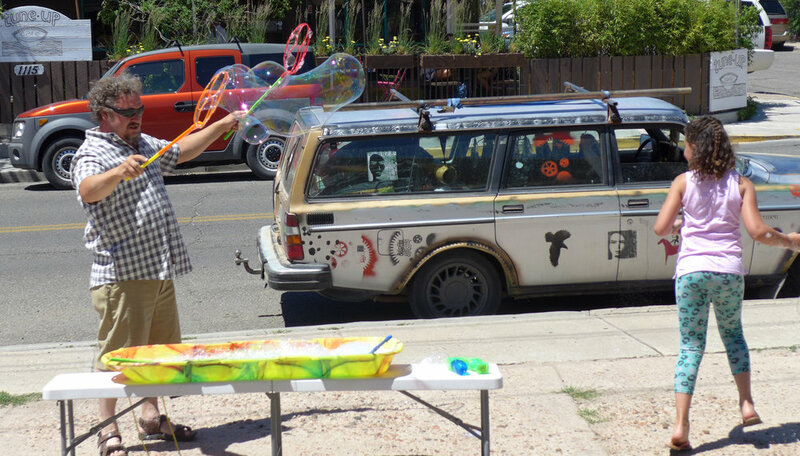 We got silly with a live drawing event and blew giant bubbles in front of the gallery. Participating young artists were ages 12 to 20. 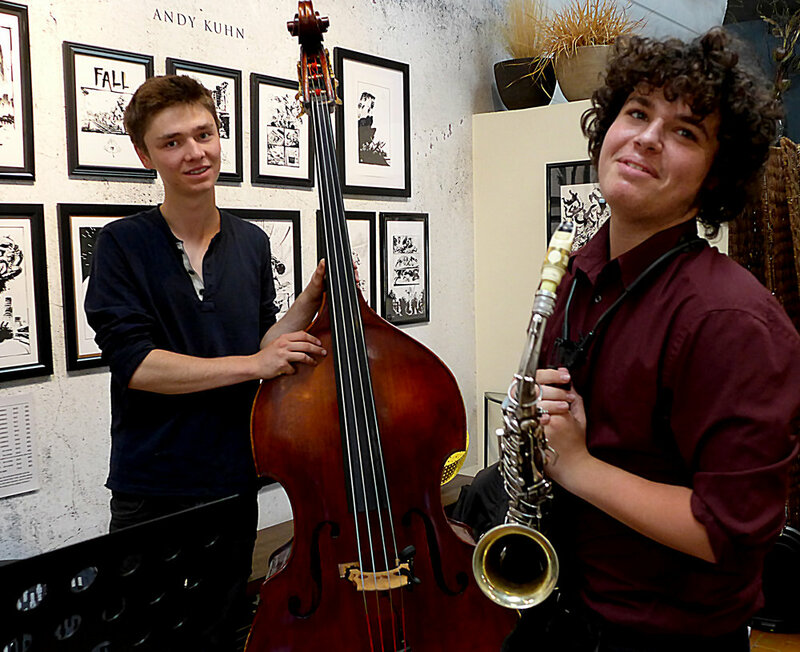 We enjoyed a festive live jazz jam by music students from New Mexico School for the Arts.